Gaijin Entertainment, the developers behind the critically acclaimed smash hit War Thunder, today announced that the Closed Beta period for their next upcoming MMO is now underway as players are invited to explore the post-apocalyptic vehicular combat of Crossout. The Closed Beta begins today and brings with it a host of new content including support for Virtual Reality devices as well as the introduction of Leviathans, special player-created bosses that will prove challenging in various PvE modes. Those interested in participating in the Closed Beta testing for Crossout can sign up on the official website, or for instant access, pick up one of the Early Access Packs. 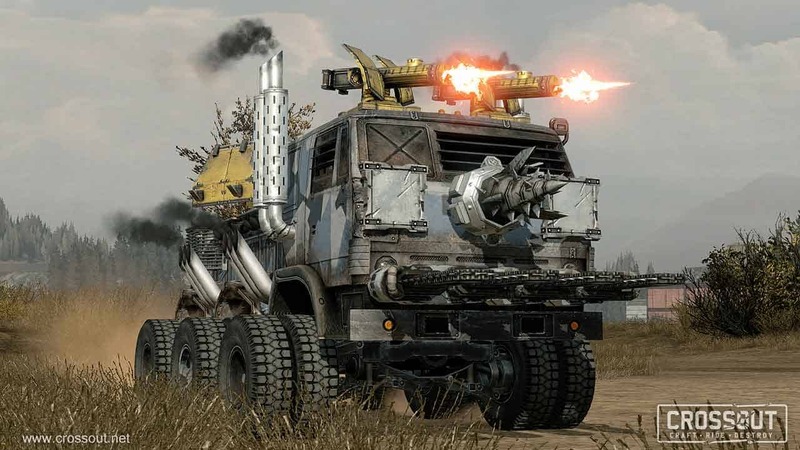 The packs include a variety of incentives such as unique avatars, special vehicles, rare paint jobs, patterns and a load of in-game currency. Early Access supporters will be able to use all of the digital goodies in Closed Beta knowing that they’ll be replaced and once again usable when the Open Beta releases.